Kim Parsell was a lot of things to a lot of people. For the last four days I’ve gone to sleep and awakened with the knowledge of her passing and I’ve grappled with what I would say, how I would put into words what Kim was to me. To me, she was far more than simply #wpmom, she was my inspiration. She was a confidant, a supporter, a team mate, a mentor, a sounding board, a partner in crime, and most of all, a dear, close friend. We laughed, chatted, worked, burned out, chatted some more, and made plans together. Oh, we had such plans. 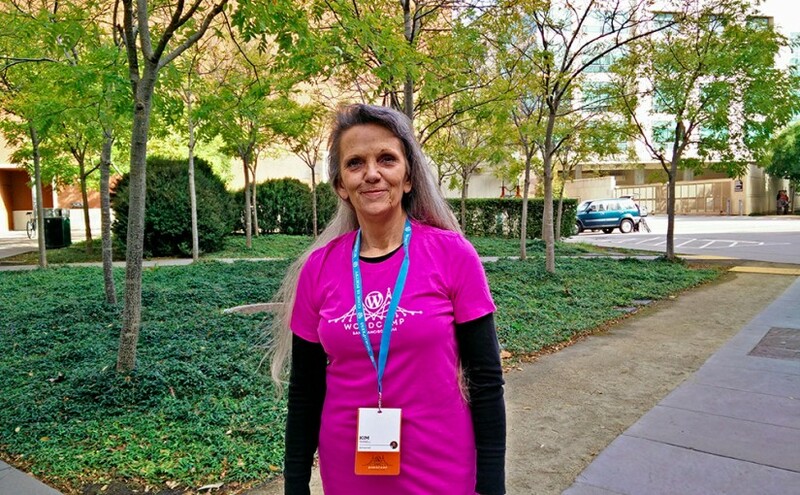 Kim wanted to “work in WordPress”, to find a company to pay her to contribute. We’d even weeded down a list of companies she wanted to work for, and had planned to get those wheels turning in the new year. We had plans to finish any number of open docs projects, and to start new ones. To reel in new contributors and keep the ones we had. We had such plans. I think that Kim had only begun to realize her place in the community and that the influence she wielded was real. As Jayvie said, Kim was a dreamer. And it saddens me that she wasn’t able to realize her dreams of contributing full time. She’d certainly put in her time and then some volunteering. My only solace is that the work we did together had a lasting impact. In reading through some of her tweets that have been shared and retweeted over the weekend, it occurs to me that I was much more familiar with the private Kim than the public one. Yes we worked closely on WordPress things together, but that wasn’t the linch pin of our relationship. And distance mattered not at all. I was in Denver (or elsewhere) and she was in Ohio. I’ll cherish the many long phone conversations we had about anything and everything. Boy that lady could talk! And it’s not simply that the other half of “Team Awesome” is missing, but that it feels like a part of my soul is missing too. I don’t know what to do about it other than to press forward and try to carry out the plans we made, and make new ones “with gusto!” as she used to say. It was a constant joke between us that what Kim lacked in height she completely made up for in talent. As far as I’m concerned, she was a taller person than I in both departments. But more than what Kim was to me, it’s what she was to the wider community. What Kim contributed to the docs team and WordPress is simply irreplaceable. She was the formidable voice and editor of the core contributor handbook, half of the inline docs team, a contributing developer for the core team, a successful plugin developer, a support volunteer, an evangelist, and the all-seeing-eye of the WordPress community. More than that, she was a shining light, a mother, a sister, an aunt, a cousin, and a friend. She will be celebrated and missed by many. I recall countless times where I would wake up to a message in Gchat where Kim had asked, “Have you seen this post?” or “Did you see that tweet?” And it was inevitably some mention of the docs team or some initiative we were involved in, or a post from some obscure blog about this or that. 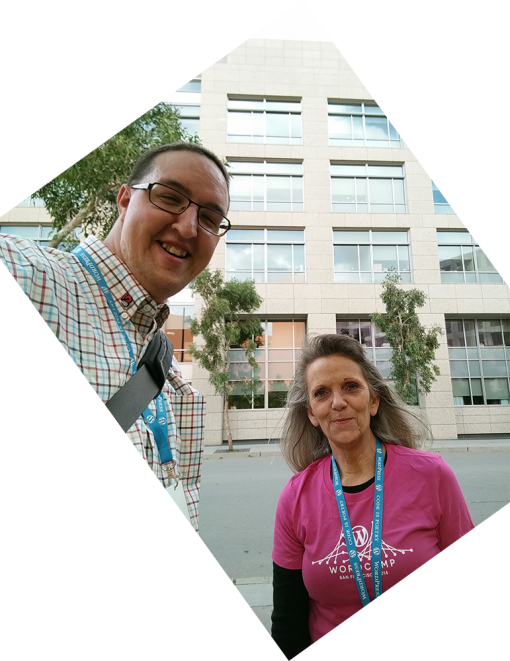 She knew more about what was going on in WordPress than probably anybody I’ve ever met. That was just Kim. We probably had a single Gchat going for two years, and as I scroll back through the hours of conversations I’m struck with a deep sense of loss. We both knew we were working toward something lasting and great. I only hope I can imbue in my work the value Kim did in hers. There’s something in particular that stood out to me about Kim’s character: she didn’t pull any punches and she stuck to her guns. More than that, she approached everything virtuously, and she wasn’t afraid to admit what she didn’t know. She knew her own limits, but she was ever-curious to expand them. I admired her tenacity for learning. I remember when I first asked Kim to join me in shaping the future of docs in WordPress core. It was an intimidating, yet not insurmountable task, and she was game. When writing hook docs and a docs standard came along, she was game. And after it all, those months and months of working day and night to bring that effort to a conclusion, we burned out together just as we had worked, laughed, and chatted together. It wasn’t pretty, but we worked through it and pulled each other back up. The things I will miss about Kim are plentiful. Stand outs are the “Hellllloooooo!” she would exclaim whenever she picked up the phone. Or the grace under pressure with which she approached any challenge. Upon reflection, the thing I’ll miss most about Kim is the knowledge that she had my back and I hers. It will be a tough road ahead knowing that I’m continuing on alone in the great journey we started together. It was an honor to know you Kim and to be a part of your life. I will miss you dearly.